Mellow-medium in body, Micallef’s ultra-smooth Reata cigar is perfectly balanced in generous, grin-inducing flavor. Showcasing a handsome, 4-year aged San Andres Clara wrapper over a careful blend of Ecuadorian binder and Nicaraguan filler leaves of the same vintage, the slow-burning Reata unleashes a wave of warm, earthy and floral flavor with pleasing hints of vanilla and smoky oak. 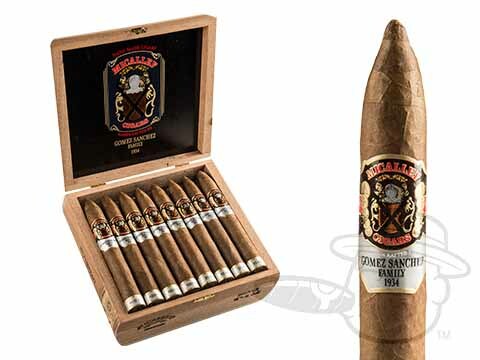 Like all Micallef cigars, the Reata is evidence that grand tradition never goes out of style. Grab yours here at the lowest prices possible.